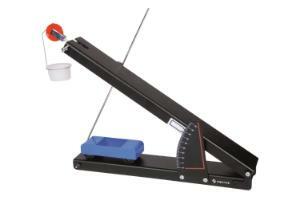 Present a Wide Variety of Standard Force and Motion Activities. Unlike silk-screened versions, the rugged PVC scale can’t wear off. The all-aluminum construction means it’s virtually student-proof. It comes with Hall’s carriage, pulley, weight pan, solid aluminum plane, and accessories. Illustrated instructions include projects and sample problems.